Two concerns are critical when handling pharmaceutical dusts: Personnel exposure to potent, toxic or allergenic dusts, and the explosion properties of the dusts. 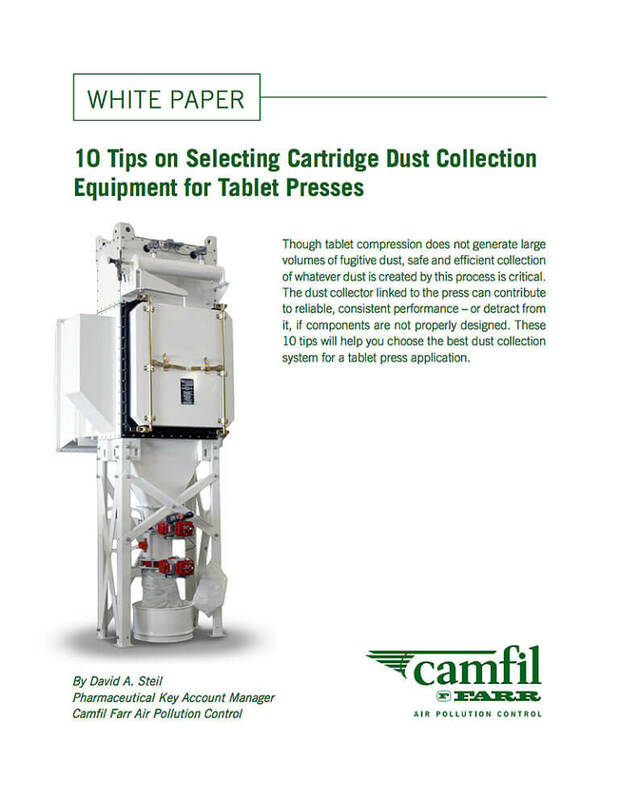 Camfil dust collection experts understand the toxicological properties of dusts and potent compounds. 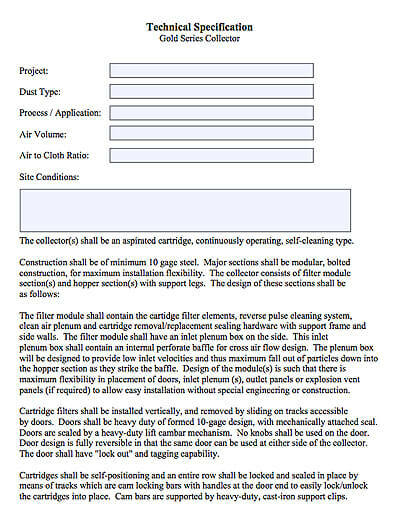 We also know how to review the Occupational Exposure Limit (OEL), and can perform a risk-based exposure evaluation to determine the proper method of dust control. In most cases, we recommend a secondary HEPA system so that your facility can recirculate the filtered air back into the HVAC system. This can significantly reduce energy costs while providing the necessary level of filtration that the EPA requires for discharged air. To safeguard against deflagration from combustible dust, your facility may require control measures such as explosion venting, chemical suppression, and isolation systems. 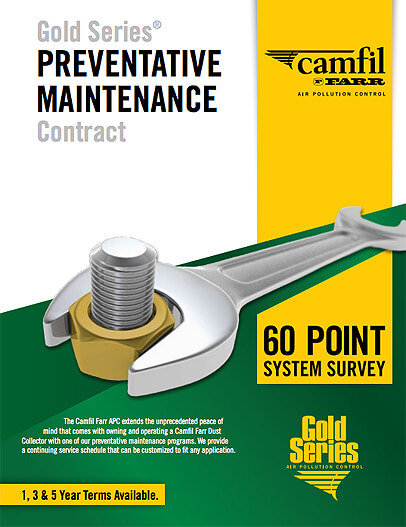 Camfil APC will recommend these accessories if the Kst, Pmax, MIE and the dust collector location require them. 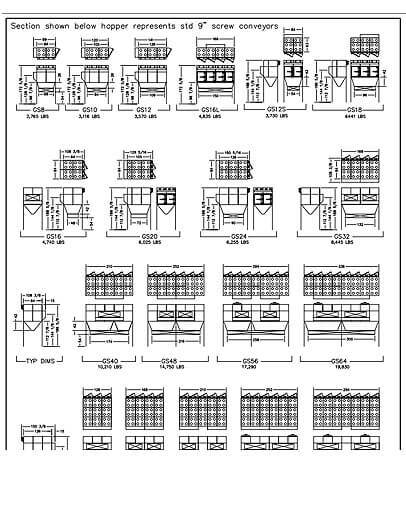 We will make certain that the all explosion protection equipment satisfies the requirements and standards of NFPA, ATEX, local fire marshals and insurance carriers. Though tablet compression does not generate large volumes of fugitive dust, safe and efficient collection of whatever dust is created by this process is critical. 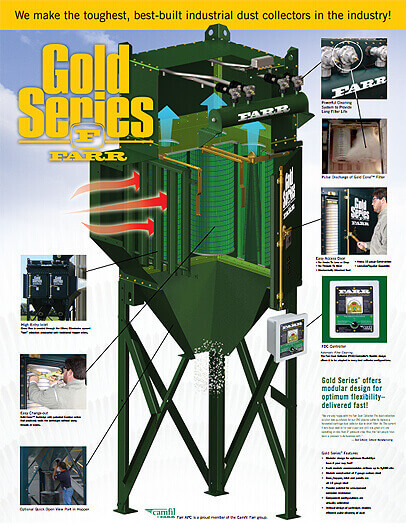 Gold Series (GS) Camtain dust collectors are the industry's most durable and dependable, so they minimize production line stops. They can be used in a variety of pharmaceutical dust collection applications and are ideal for high-efficiency filtration that doesn't require product reuse. 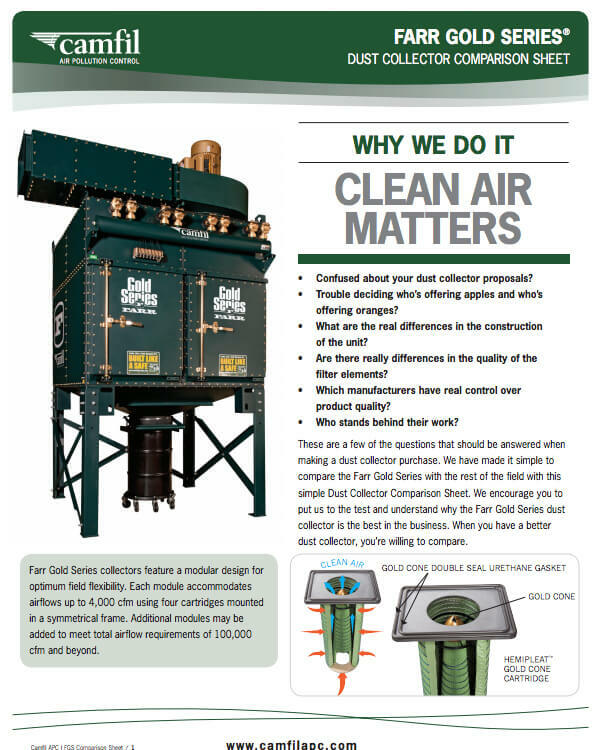 GS collectors exceed OSHA mandates for factory air quality, and when equipped with a Camfil explosion vent, they offer the highest explosion protection in accordance with NFPA and ATEX standards. 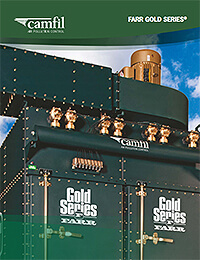 The GS Camtain dust collection system has been independently surrogate tested for validated performance verification. Camfil APC has installed dust collectors in pharmaceutical manufacturing locations in North, South and Central America, Asia, and Europe. Bag-in/bag-out containment systems for both the filter cartridges and discharge system underneath the collector. The cartridge change uses the safe change filter replacement method while the discharge uses continuous liner technology. Filter cartridges are sealed via an internal cam bar action, allowing convenient changeout through the safe change filter replacement system. A high entry, cross flow inlet eliminates upward velocities that can hold fine particulates in the filter cartridges, reducing the re-entrainment of the particulate matter. Specially treated filter media repels fine particulates for a lower pressure drop and longer filter life. 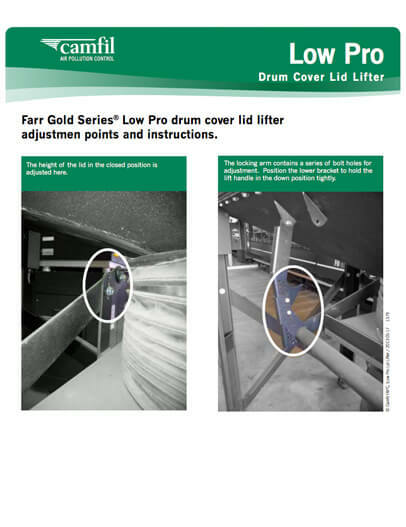 The Gold Cone® cartridge filter design provides 25% more media for long service life. HemiPleat® filter technology ensures uniform pleat spacing with synthetic beads that hold the pleats of the filter cartridge wide open. 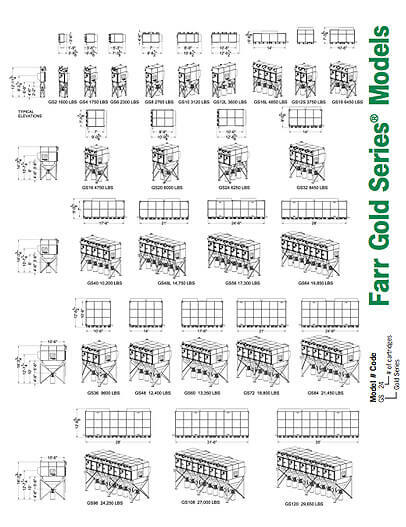 Vertically arranged filters shed particles better than horizontal filters in heavy loading applications. Supports traditional dust collection for nuisance dusts and fumes that do not require full isolation and containment. 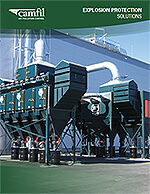 This small footprint dust collector can be positioned on the production floor or suite. It uses a segmented cleaning process to keep the primary filter cartridge operating continuously so manufacturing is not interrupted. The unit reduces energy costs by cleaning filters at low pressure. A secondary HEPA filter provides 99.995% filtration efficiency to capture the finest dust particles. 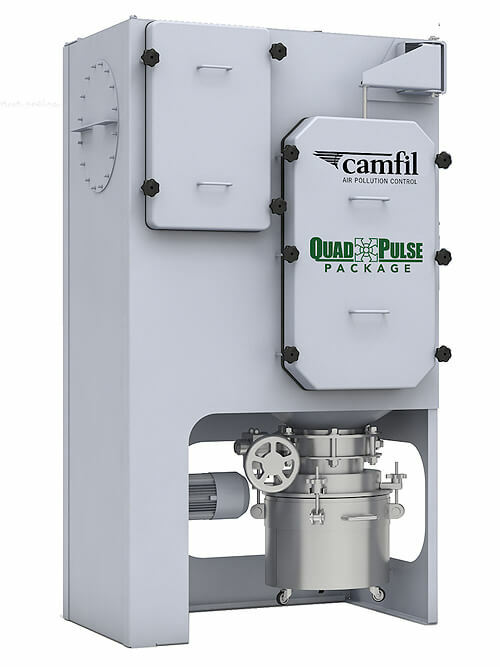 The QPP also features pressure-resistant construction, built-in NFPA and ATEX-compliant explosion protection, integrated fan, quiet operation and bag-in/bag-out filter change-out option.